Would anda like there to be another Tinkerbell movie? Which do anda think I should make Queen Clarion become? Which of these three is your #1 crush? What is your kegemaran Disney Fairy? Describe for me what would it be like if anda think Queen Clarion and I should be married. Describe for me what would it be like if anda think Silvermist and I should be married. Describe for me what would it be like if anda think Tinker loceng and I should be married. 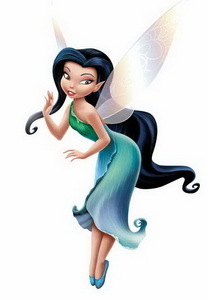 Which female Disney fairy do anda think I should marry and why? Pixie Hollow Pari-pari Vidia and Silvermist tunjuk off their speedy training styles in these new vids for the upcoming Pixie Hollow Games. The two will compete against Tink, Iridessa, Rosetta, Glimmer, Rumble, pakis, fern and Chloe in the upcoming special. The newenture begin amke your own Pixie Hollow character! Is she/he blonde, slim, strong? What talent have they got? anda can amke your own Pixie Hollow fairy! It is easy, she atau HE can be whatever talent they want to be, look like anyone they want to! anda create the fairy anda want to be! Go to the Pixie Hollow website if anda are a fan! Can Tinkerbelle and her Friends make lebih friends? Think of a plot for your stories and adventures of Pixie Hollow! Because the new and I mean new adventures begin! One hari a new fairy came to Pixie Hollow. She wore a long purple T-shirt and long purple boots made out of bunga petals. Her hair was brown, short and wavy. She was named maple sejak a fairy named Namee, whose talent was to name things. These are the best known talents in Pixie Hollow. Pots and Pans Talents, sometimes called Tinker Fairies, fix everything in Pixie Hollow using a strange array of tools. Tinker Talents are curious, Cinta metallic Warna and use their magic to aid in the repair of the pots and pans of Pixie Hollow. Pots and Pans faeries do not just fix things, they also invent, and create special tools to help the Nature Pari-pari on the Mainland. fawn checked the chipmunk's pulse. He was breathing, but he had a big gash on his shoulder. fawn took out bandages from her first aid kit and wrapped them around his shoulder, as well as his side. "I'll never get him back to Pixie Hollow!" fawn said. The tupai, chipmunk let out a low groan. She could feel his pain. She knew she had to save him. fawn walked through the forest on a breezy Autmn day. fawn was an animal fairy, which meant she can comunnicate and nurse animals. Today she was taking a walk through the forest to find a animal to play with. fawn liked being around Haiwan lebih than fairies. Suddennly, she heard a crash behind her. Fawn, startled, turned around - all she saw was a few feathers and an injured chipmunk. "Oh, no!" fawn thought. The tupai, chipmunk had been attacked by...by.. fawn didn't want to think about it. a comment was made to the poll: who's your kegemaran fairy couple ? a poll telah ditambah: Which is Your kegemaran Movie Song? a comment was made to the poll: If anda agree that Silvermist will marry me, which of these two Warna should her wedding ring be? Who do anda think I should marry? Me marrying Tinker loceng one day?